More than 600 children and adults from low-income families from 5 THK Family Centres and 2 THK Centres for Family Harmony took part in THK Family Fundae @ KidZania Singapore. 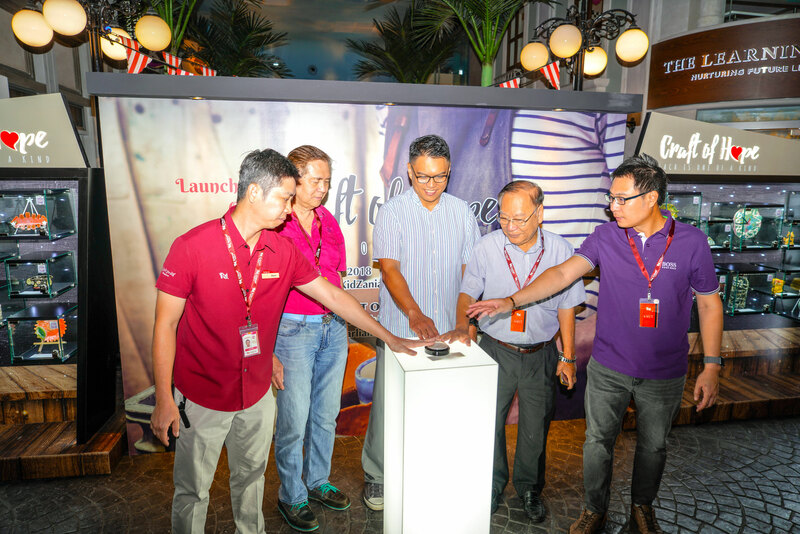 The event also saw to the launch of the Craft of Hope campaign, which was graced by Mr Patrick Tay, Member of Parliament for West Coast GRC. The Craft of Hope is a campaign Craft of Hope seeks to bring pieces of pottery, imbued with the unique personality of each person with disability, to the public eye the pottery pieces are made by hand from start to finish. Hence, each craft is one of a kind, making every piece a priceless gift that people can gift to their loved ones! Visit the walls at our partners’ locations here!